Every year in the middle of August automotive aficionados gather on California’s Monterey Peninsula for the annual festival of car lust. There’s classic auto races at Laguna Seca; Gordon McCall’s Motorworks at the executive jet airport; an Italian car bordello at Blackhawk Golf Club; The Quail - A Motorsport Gathering at Quail Lodge; the various car auctions; and of course the crown jewel: the Pebble Beach Concours d’Elegance on Sunday. If you drive north up from Los Angeles on the Pacific Coast Highway, via Big Sur, it could take you about 7 hours. From San Francisco, south, it’s just over two hours. Entry fees for attending all of these events these days will pretty much empty your bank balance, but the regulars know this and arrive with packed wallets, plus loads of enthusiasm to dampen the inevitable loss of money. Mind you, events like The Quail sell out in five hours or less, and the numbers there are limited to 3,000 only. So, it doesn’t matter how much money you’ve got, if it’s sold out, you ain’t going! However, if you happen to be in the area, and unwilling to shell out hundreds of dollars to attend the main events, there are a couple of great opportunities to hang around the edges and soak up some great automotive gems. The streets of Monterey are loaded with exotic cars from Wednesday onwards, and most of the auctions are free to attend – where you will see some of the most spectacular cars in the world offered for sale. However, the one event I think is worth watching out for is the Friday gathering in the beautiful Carmel-By-Sea, just 15 minutes down the PCH, south from Monterey. The Tour d’Elegance is essentially a parade of all the cars you will see ‘on the lawn’ at the Pebble Beach Golf Course on the Sunday. All the cars to be exhibited at Pebble Beach must be driveable (no trailer queens here), so they all gather to take a run around the 17 Mile Drive, ending in the streets of Carmel-By-Sea about lunchtime Friday. Here you can rock up for free and amble among the cars, meet the owners, chat with enthusiasts and soak up the atmosphere. It’s a great gathering in a great place. 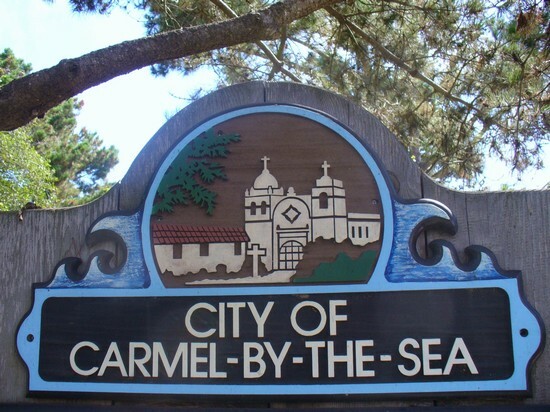 I first went to Carmel in 1990 and have never missed a year (up until I retired in 2006). It’s a very casual and laid back affair, just wandering the closed-off streets catching the car bug, and hanging out with the locals, who don’t seem to mind that one day a year they can’t drive through town. You can also just wander along the pretty streets with dog walkers and car nuts. The little specialty shops will also make a grab for your wallet, but the stuff on sale are more than chotchkies for the mantelpiece. They seem to stock the most tasteful and unusual mementos, and of course the whole Carmel ambience really has to be experienced, to see why the town attracts visitors from all over the world. Millionaire car buff, Sir Michael Kadoorie, whom I’ve been delighted to know for many years is a regular participant in Monterey, and in fact houses some of his priceless car collection nearby in Quail Heights. He says Monterey in August is his favourite time of year. His delightful PA, Christine, tells me his diary is blocked for August – he wouldn’t miss it for anything. So, that should be enough encouragement to catch the car lust in Carmel.